Steampunk style has become synonymous with many things as it has become more pervasive in popular culture, for good and ill: 19th-century, retrofuturism, neo-Victorian, colonialism, stuff white people like. What the steampunk community needs is a game-changer: more examples of what steampunks are really doing, and why does this subculture fits their wheelhouses. When you’re an outsider looking in, however, how can you avoid being blindsided by what has become the “tropes of the genre” (gears, goggles, pith helmets, and all)? 1) Where are the roots of steampunk? Steampunk is one of the few visual subcultures that has its roots in books. And not just any books, but literature whose science fiction ideas have changed our pop culture landscape: 20,000 Leagues Under the Sea, Journey to the Center of the Earth, the Time Machine, and Frankenstein, to name a few. Steampunk is the modern brass-headed step-child of classic sci-fi and fantasy, so we went to one of the authors who – literally – started it all: K.W. Jeter. He read through the book, and loved how steampunk has diversified since he first coined the word “steampunk” over 20 years ago. It is an honor to have him write the preface to this volume. 2) Who is a Steampunk Fashion Icon? Anatomy of Steampunk is not meant to be the “Who’s Who” of the community, though we have included many subculture-based designers, craftspeople, models, musicians, performers – and even a geek celebrity or two – in the making of this book. Instead, we wanted to highlight the range of what steampunk fashion has to offer creatively and choose our content based on this idea. From high couture to streetwear to performance garb and everything in between, Anatomy of Steampunk points out where steampunk fashion can be spotted from the catwalk to the sidewalk. Not only that, but Anatomy of Steampunk emphasizes who is doing steampunk: that is, all types of people. From outside of the United States and Britain, across different races and cultural backgrounds, body types, ages, abilities, gender presentations, sexual orientation and more. And we’re not all daguerreotype copies of Merry Ol’ England either. The fashions seen here include people’s love of fashion from all over the globe during the 19th century. This is not just your European-inspired, middle-class, white-people-only movement. So who can be a steampunk fashion icon? Anyone. Even you. 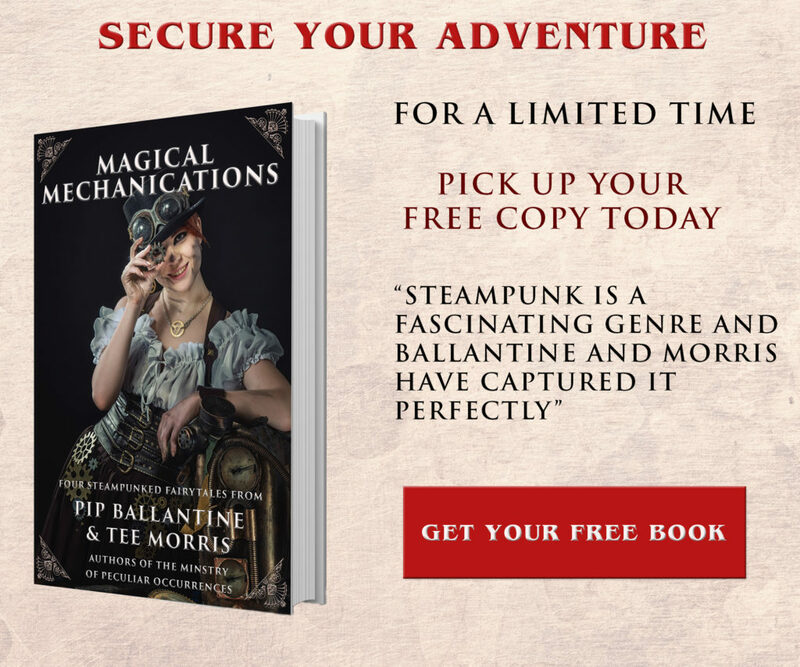 As much as we all love “ohh”ing and “ahh”ing over the pretties, steampunk is also about what you do as well. The Maker movement has also influenced steampunk, and in light of that, we’ve provided ten DIY projects created by professional craftsmen Noam Berg and Won Park to get the newbie steampunk started on accessories of their very own. From making your own pair of goggles and spats to creating ray guns, arm guards, and more, these projects inserted throughout the book are open-source creative experimentation for those who want to learn as they go. 4) How does steampunk impact our lives? Steampunk may not matter to you, Dear Reader, now, but I hope that Anatomy of Steampunk sheds some light on why it matters to the thousands of people around the world who love it. Because steampunk shows how anyone can bring creativity into their lives. How we can bring the best of what’s past and combine it with the best of what’s happening now. How our imaginations can run wild in how we interact with the world today. 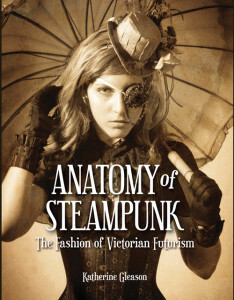 Anatomy of Steampunk is available for purchase at Amazon, Barnes & Noble, IndieBound, or your favorite bookstore, available from Race Point Publishing. Interested readers can also follow the book’s Pinterest page and scope out an exclusive sneak preview on Beyond Victoriana. 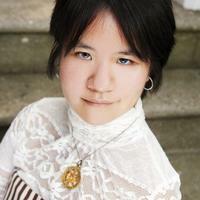 Diana M. Pho (Ay-leen the Peacemaker) is a published fandom scholar, activist, and performer. 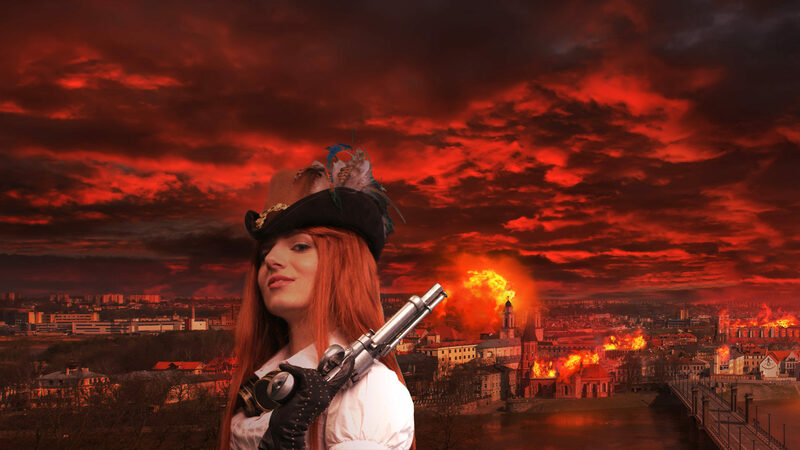 She is the founding editor of the award-winning multicultural steampunk blog Beyond Victoriana and is a professional lecturer on steampunk and social issues. Diana also blogs for Tor.com and works for Tor Books.